Loft Lucia is a rooftop wedding venue for couples in the Chicago, Illinois area. 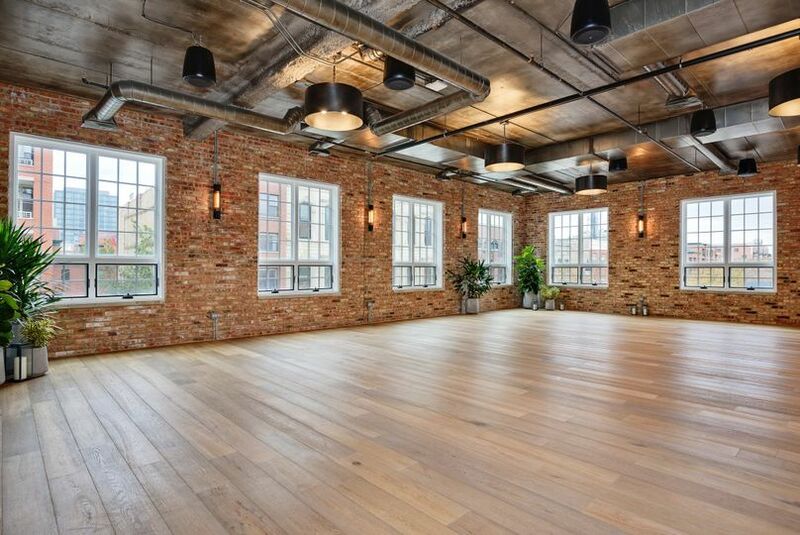 This venue’s cozy industrial atmosphere is perfect for couples seeking a setting in the city. Just ten minutes across the river from Willis Tower, the downtown venue is convenient and chic. 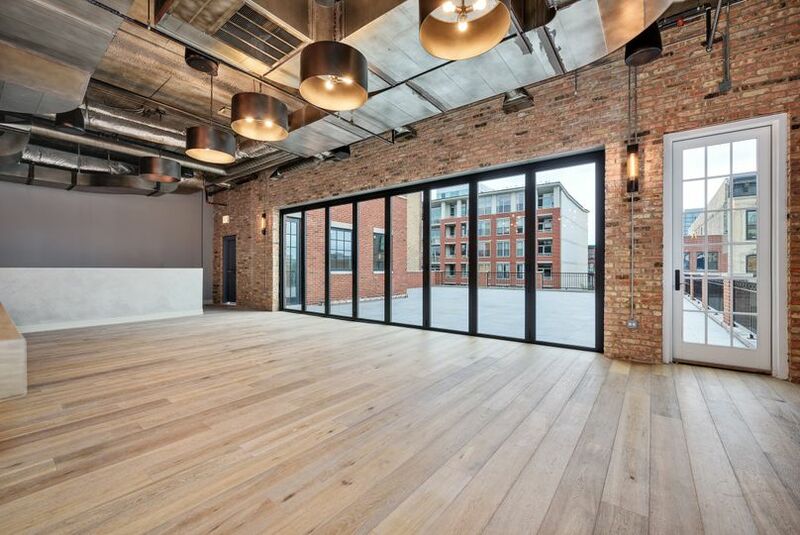 This venue has two indoor spaces and a rooftop terrace, with capacity for 150 guests. 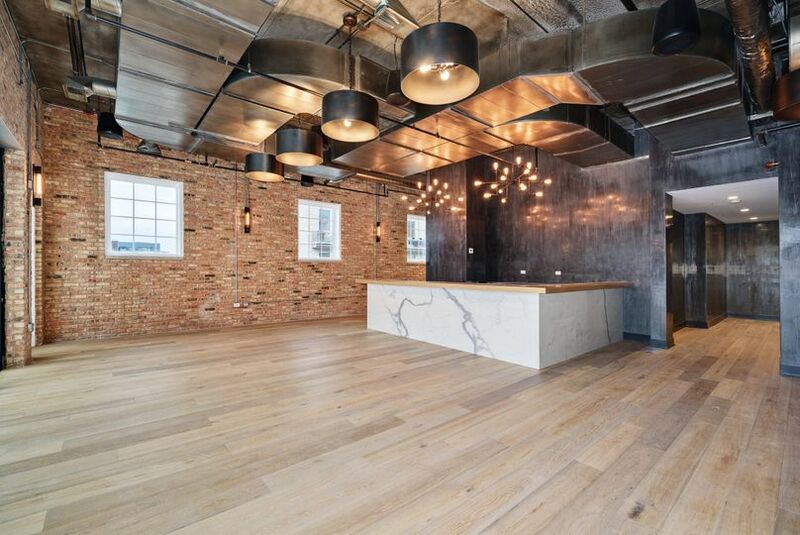 Loft Lucia’s main space features exposed brick walls, a bar with a marble-patterned facade, windows overlooking the city and metallic chandeliers. Oversized windows look out at the terrace, offering guests and couples simultaneous indoor and outdoor options. Wide open floor plans provide plenty of space for dining and dancing, as well as decorating this venue to be their own. This event venue in downtown Chicago also hosts bridal showers, elopements, engagement parties and rehearsal dinners. (Celia) was so helpful and professional ... It was a dream !!! I'm a planner and had the great opportunity to work with Celia and Becca at Loft Lucia. I've worked in a lot of venues and they were around all evening to help with venue specific questions, help with furniture and layout questions and even help take out the trash at the end of the night (which is not their job!). I would be delighted to work at Loft Lucia again. It's a great venue with a great team! Loft Lucia was the most perfect venue for our baby shower. As if being stunningly gorgeous wasn't enough (because...wow) it's incredibly efficient layout makes the experience as a vendor beyond enjoyable and the gorgeous details everywhere scream luxury. Our vision was to create a beautiful and original celebration that didn't feel like every other baby shower- and Loft Lucia was the ideal backdrop to bring that to life. The level of detail and quality they put into every inch of the space makes it feel luxurious. 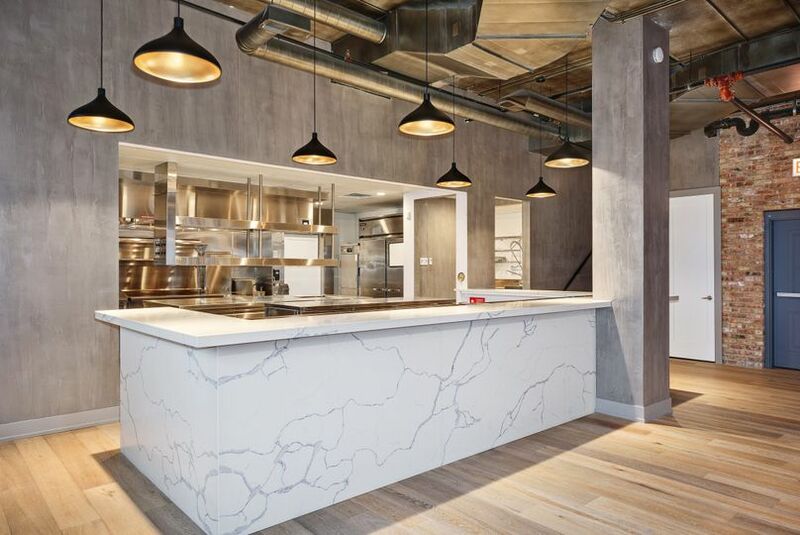 The finishes, layout, gorgeous professional kitchen, jaw dropping marble bar, rooftop and even their rental inventory- all exceptional. I can’t recommend Loft Lucia enough for your celebration- whether “the more the merrier” or intimate in size- it’s simply perfect. Thank you for being a part of this special moment we will treasure forever! 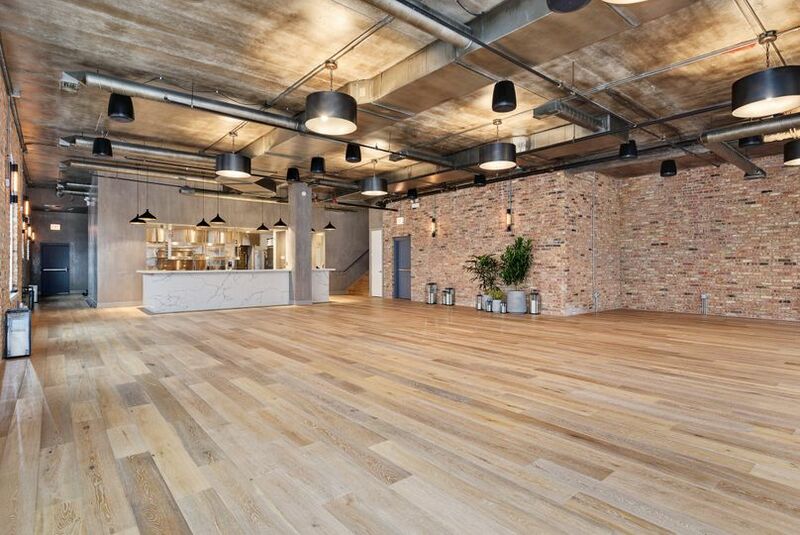 This is a beautiful new event space in the West Loop! They have an amazing patio that overlooks Madison! We are so excited for events together!